United States Department of Commerce U. 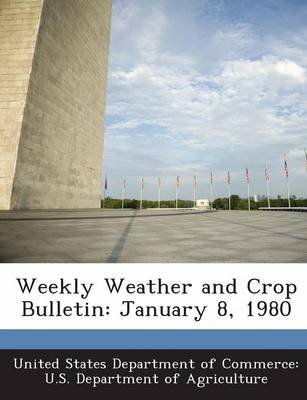 The Weekly Weather and Crop Bulletin (WWCB) is jointly prepared by the U.S. Department of Commerce, National Oceanic and Atmospheric Administration, and the U.S. Department of Agriculture. The WWCB provides a vital source of information on weather, climate and agricultural developments worldwide, along with detailed charts and tables of agrometeorological information that are appropriate for the season. This is one of those bulletins. Creators: United States Department of Commerce U.